Our Year 7 students have been lucky enough to attend a flamenco workshop facilitated by the company Canela Fina. 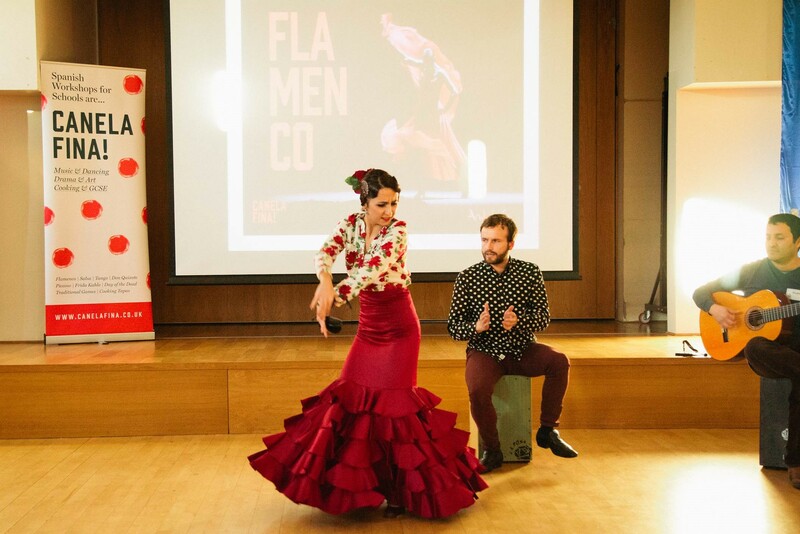 One of their Spanish flamenco dancers came all the way to Barking to teach our kids some basic Flamenco moves and a little bit more about what flamenco entails. Some of our students were particularly talented as you will get to see in the video, but what we are sure of is that they have had a great time! Thank you Canela Fina and our lovely Year 7s for their great behaviour and their efforts to look like real professional flamenco dancers!